Planning a wedding in a Victorian Lilac color scheme? 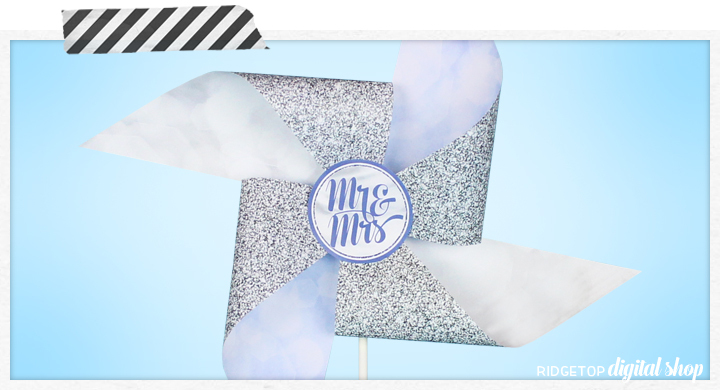 Download this free printable pinwheel to enhance table decor or include with your photo booth props? The pinwheel can be folded to achieve four different looks and has three center images to choose from. 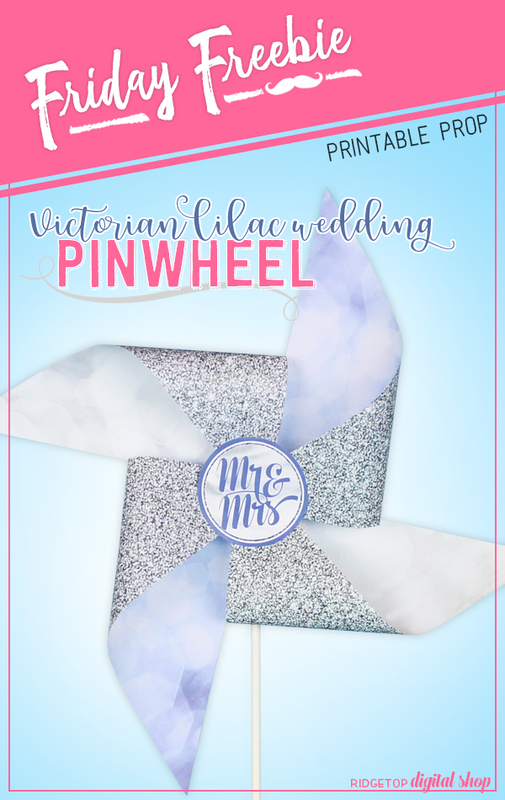 Click here or the image below to download the free pinwheel. Need help assembling the pinwheel? Check out this post for tips. If your printer has the ability to print double sided, you have two options for displaying this pinwheel. Either printed side can have the corners folded into the middle. Another option is not printing double sided and leaving one side white.